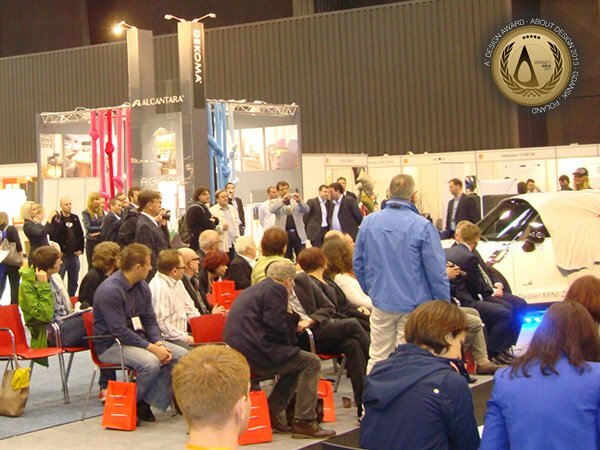 During the About Design Expo in Gdansk Poland, the very first A Design Award Expo Edition was held. Polish designers, Aleksandra Gaca, Dominika Komowska and Magdalena Purol were awarded Expo Design Awards for their extraordinary designs by the award jury that included the expo manager, academics and professionals among hundreds of other designers. The award process started with the formation of a strong jury. The jury was composed of five people and included; Tadeusz Pietrzkiewicz from Faculty of Architecture and Design, Dean at Architecture Department, Akademia Sztuk Pięknych w Gdańsku - ASP Gdansk, Mirosław Hrynkiewicz - Architect Dr., A Design Award exhibition curator Makpal Bayetova, expo manager Łukasz Tamkun and award coordinator Onur Mustak Cobanli. An independent observer was also present to control the integrity of the event together with a mediator. 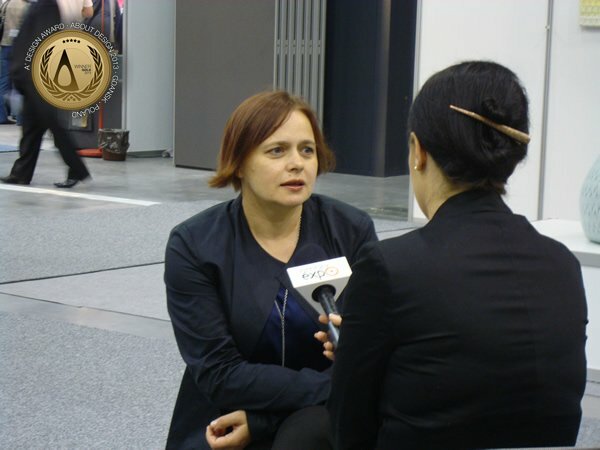 The expo award got attention from the local media, during this time a design award winners were also communicated and shared with the press members. Before the awarding process started, several announcements were made to help the exhibitors get involved and to make sure that the jury visits would be anticipated. To judge the entries, jury members checked each and every booth and each jury member voted for each eligible product they wish to vouch for. Once all the entries were judged, the number of votes were counted and the designs with the highest votes were awarded. There were only three awards given regardless the number of different categories. Aleksandra Gaca won the first place with Slumber Pouf and the textiles which were used to create them, Dominika Komowska, won the second award with En Face graphic design installation on acrylic, and Magdalena Purol was awarded for the Classic Black Bag design in Fashion Category for its elegance and modern look. 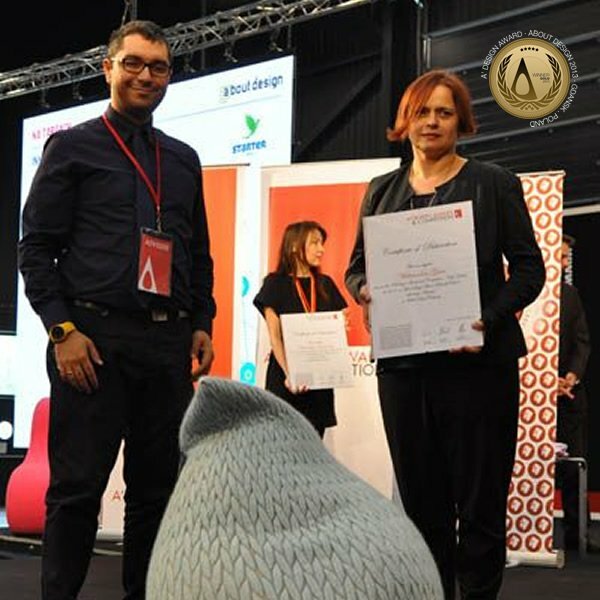 Aleksandra Gaca was awarded the Gold award for her textile designs which incorporated 3d patterns and designs in a beautiful and smart way. 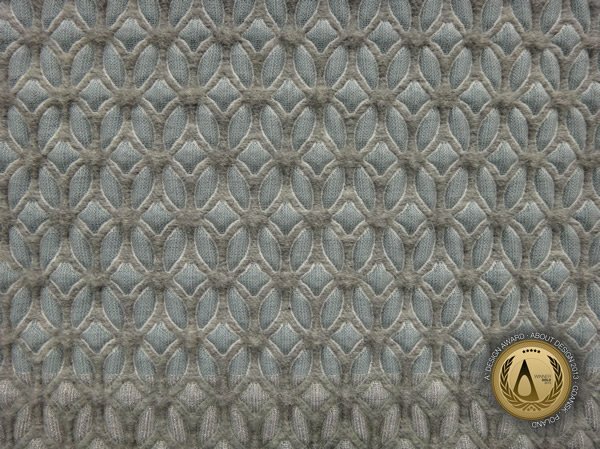 Aleksandra Gaca's textile designs were selected as the best of show in About Design Expo in Gdansk with agreement by all jury members since her works got full score from the award judges. Aleksandra Gaca's sound absorbing and artistic textiles feature three dimensional structures which provide acoustics properties; thanks to their ribbed rigged textures, the Architextile panels absorb sound waves more efficiently than flat textiles and thereby contribute to a more silent environment. The textiles are therefore both functional and aesthetic. In addition to the acoustic and decorative applications found in project design, the Architextile panels by Aleksandra Gaca are also finding their way into private interiors. Here particularly the 3D textures are important, playing, as they do, a game with light and shadow. Some of the patterns are so beautiful that they could even be used as paintings or decoration. Sit on them and they hug you, stand up and they spring back to their original form. These cute pouffes from Aleksandra Gaca have a striking light/dark texture that remind you of knitting. It is, however, a woven cover! Three dimensional stretch fabrics are in fact the speciality of Aleksandra Gaca who has created many different designs and patterns throughout the years. Aleksandra Gaca and her Studio specializes in both the design and in facilitating the production of innovative fabrics. 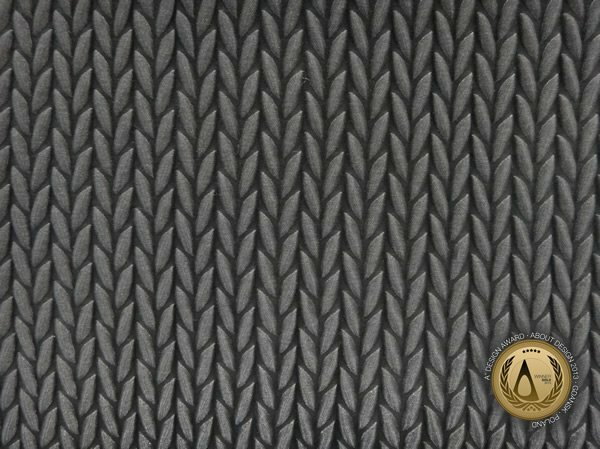 Versatility of approach and the finished result are central: from contract markets to commercial markets and co-operation with both architects and interior architects have resulted in the development of exclusive textile designs. 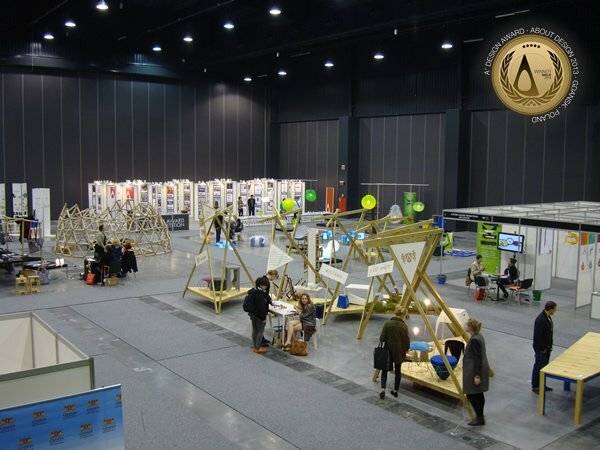 Before evaluating all the entries, the competition jury members and the awarding commitee met at the A Design Award and Competition booth, the competition rules and regulations was communicated before the jury started its walkthrough through the fair grounds. After the voting session ended, the award committee met once again to order and rank the entries. Dominika Komowska was awarded with a Silver award for her graphic design work titled En Face. 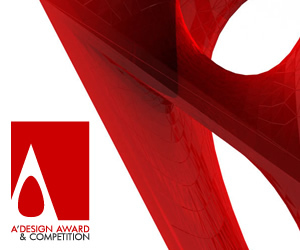 The artwork - design intallation received a significant number of votes from the jury and was celebrated for her modern approach to showcase ah typeface in a unique manner. Her work was exhibited as a part of the design school exhibition. 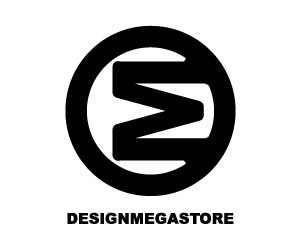 There were indeed many designs and products that were identified as potentials, however the awarding process required that designs should receive majority voting and only the best, top ranking designs to be awarded. 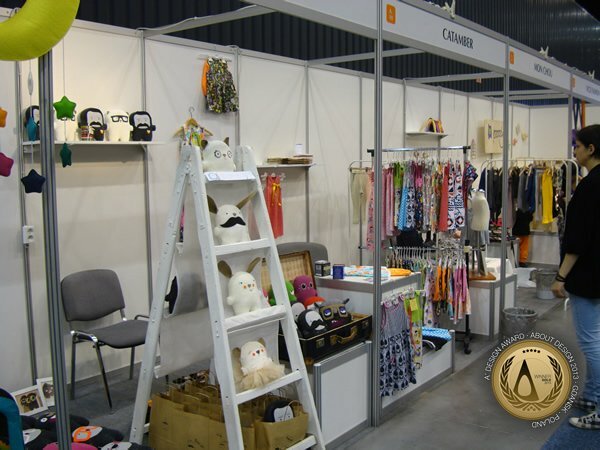 In some situations, multiple products were identified for some booths, however the competition rules required that each exhibitor to nominate a single product. The award was especially open to creators, designers and product manufacturers. Furthermore distributors who were granted permission to represent the original manufacturers were also nominated for the awards. 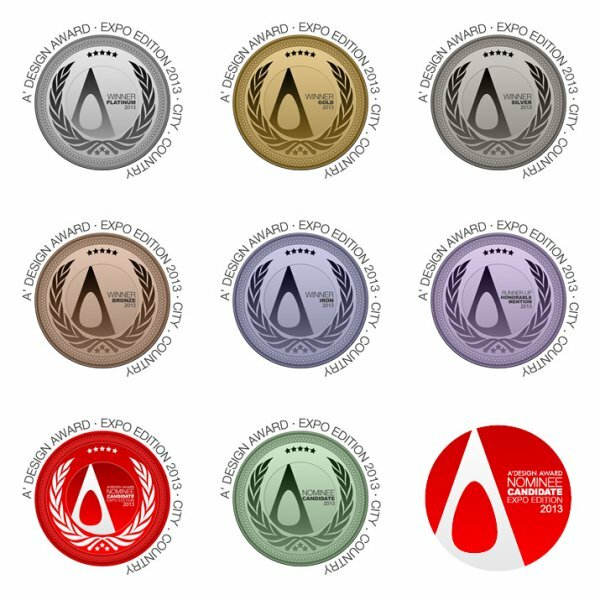 Top ranked product designs and projects were given the expo edition of the a prime design award. 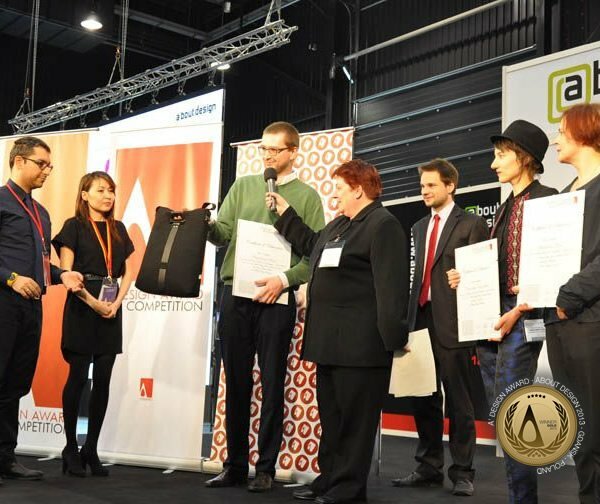 The award was celebrated by all professionals and exhibitors who gathered at the city of Gdansk for the About Design Expo. 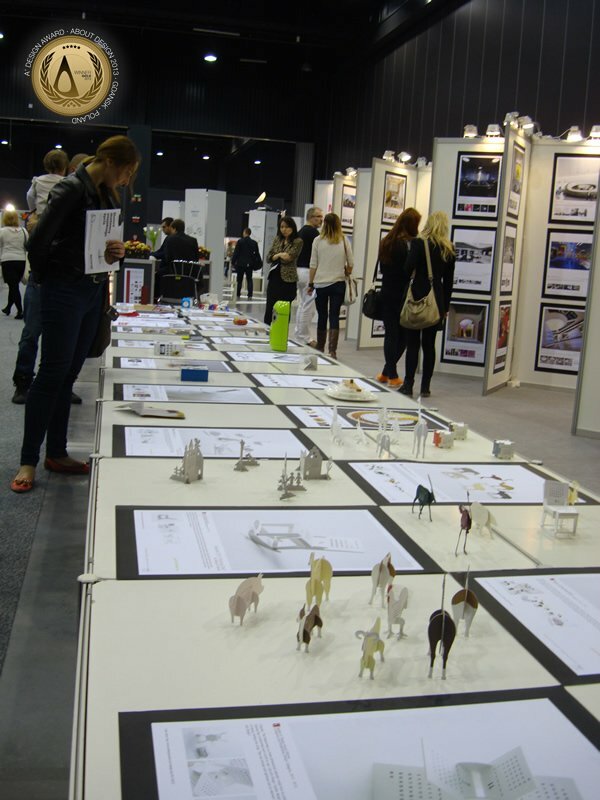 The awards ceremony, evaluation, judging session and the winners exhibition created a great sub-event for the about design fair. All the attendees, exhibitors and sponsors who joined the awards got inspiration, networking and opportunities to build creative partnerships. 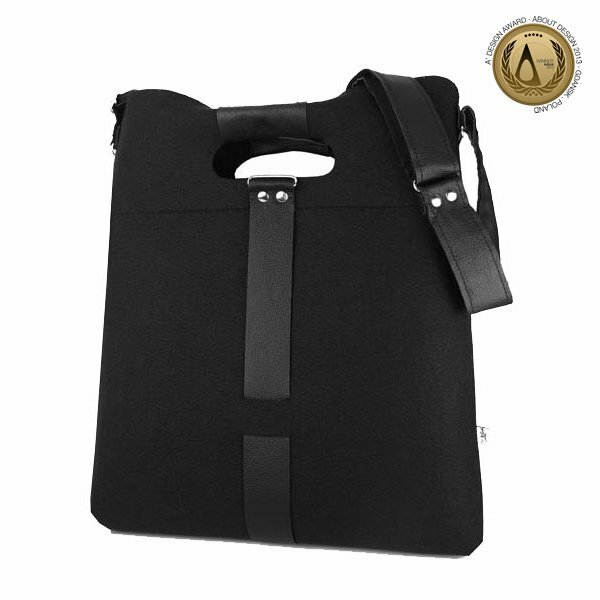 Magdalena Purol's Classic Black Bag design earned her a Bronze award in Fashion Category. The bag was selected among many others for its modern looking and functional design that helps it to be separated from the rest of fashion products. The bag design also comes in different colors however the black version was selected as the favourite of the jury. 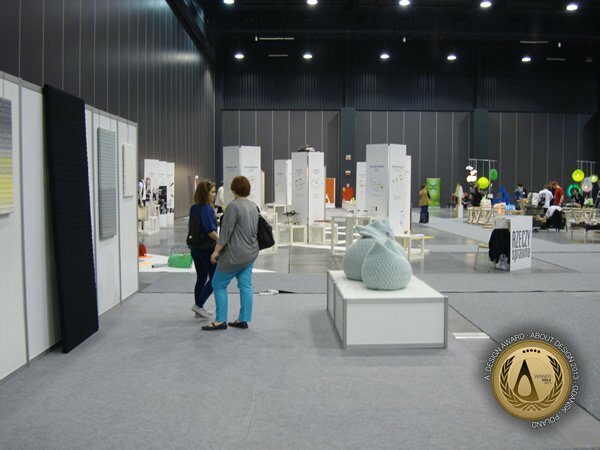 The A' Design Award Expo Edition is a respected award that is celebrated during prestigious design events, trade fairs, expo and shows. 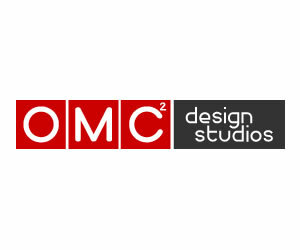 The awards are decided by a commitee which is composed by at least a five panel jury, plus an independent observer and a mediator who checks all exhibitors during the trade shows for prominent products. 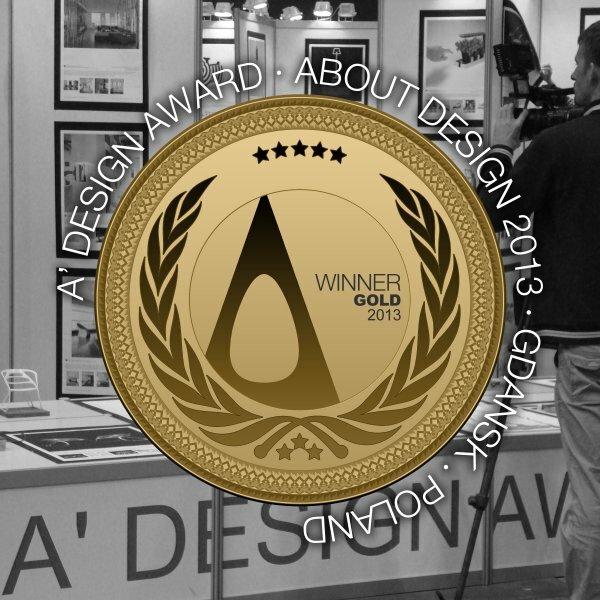 The A' Design Award Expo Edition is a very unique award that takes place during events such as: trade fairs, expositions, trade shows, conventions etc. The award jury is composed of academics and professionals. 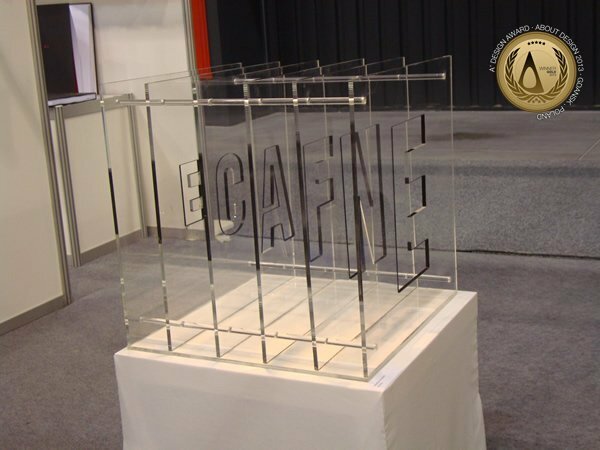 Exhibitors' products are considered for the award and are evaluated and voted on location which increases the efficiency of the process. Expo edition award winners are granted a special trophy and a set of benefits that includes press releases, publicity and advertising. The number of award winners depends on the number of exhibitors in the event. The award ceremony also takes place during the event where winners are given their certificates and/or trophies. 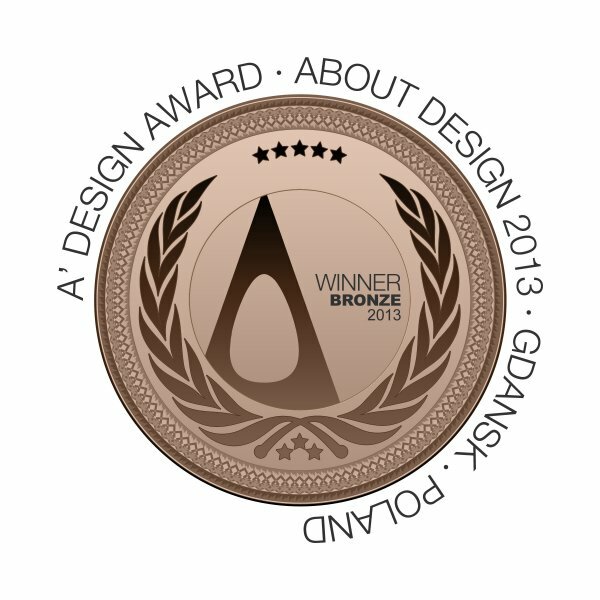 The best products are awarded with the platinum and golden awards. 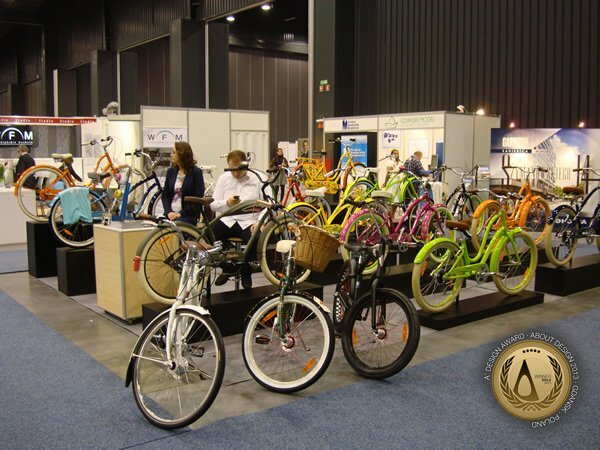 Further ranking products are given silver, bronze or iron awards. Depending on the size of organization the number of awards vary and honorable mentions could also be granted. 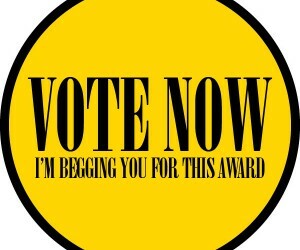 The awards are usually sponsored or co-sponsored by the event organizers. This article was added on Monday, 27th of January, 2014 at 05.29 am by author Onur Cobanli Tags: Expo Award, Tradeshow Award, Tradefair Award, Expo Design Award. Read our copyright policy here.